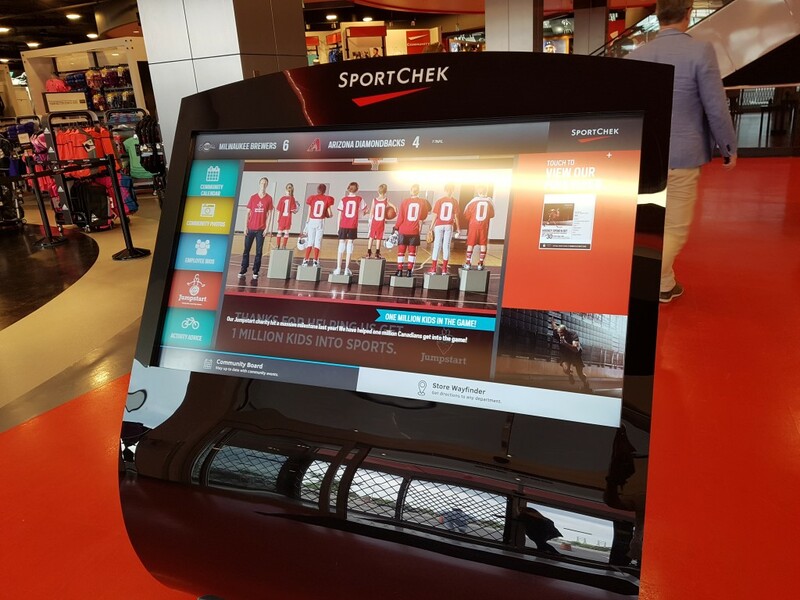 OK back to Sport Chek and why you should visit this impressive store! This flagship store is 80,000 sqf but don’t worry there’s technology everywhere to get you to the right department. Seeing as I’m “momwhoruns” I was eager to put on a pair of white socks and check out the New Balance Stride ID Lab. 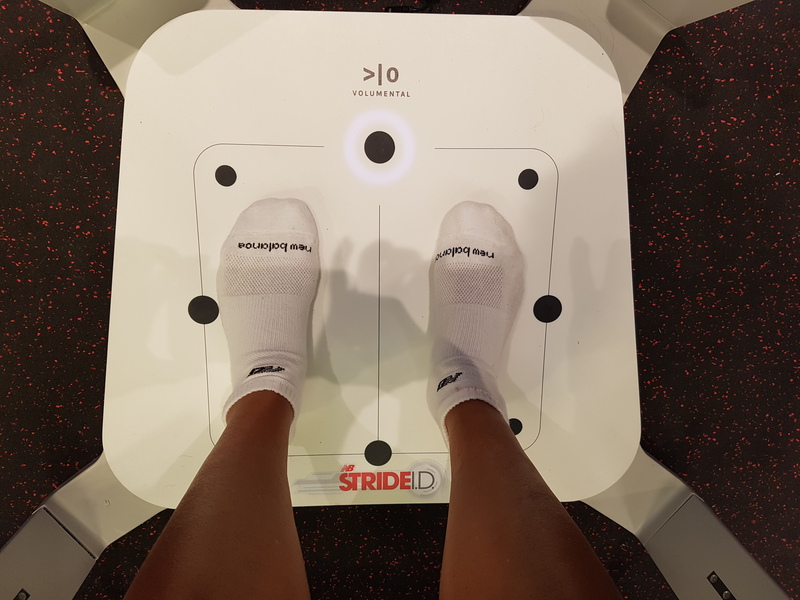 This piece of technology is the only one in North America and provides you with precise information about your foot so you can select the right type of shoe. Don’t you just love technology? I also noticed this display, so you can personalize your own shirt. 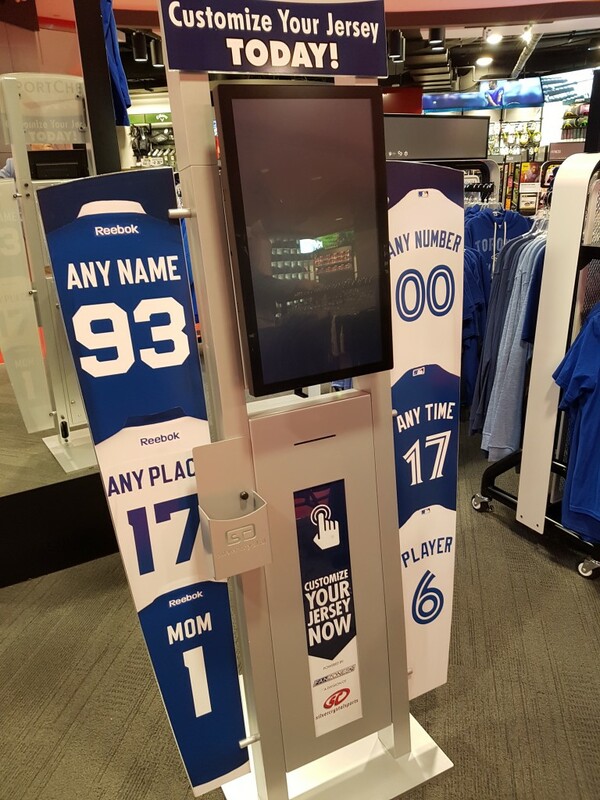 It brought back a lot of memories for me as my dad used to have a sports store in Ottawa and I remember the “old school” method he used to personalize shirts for his customers. 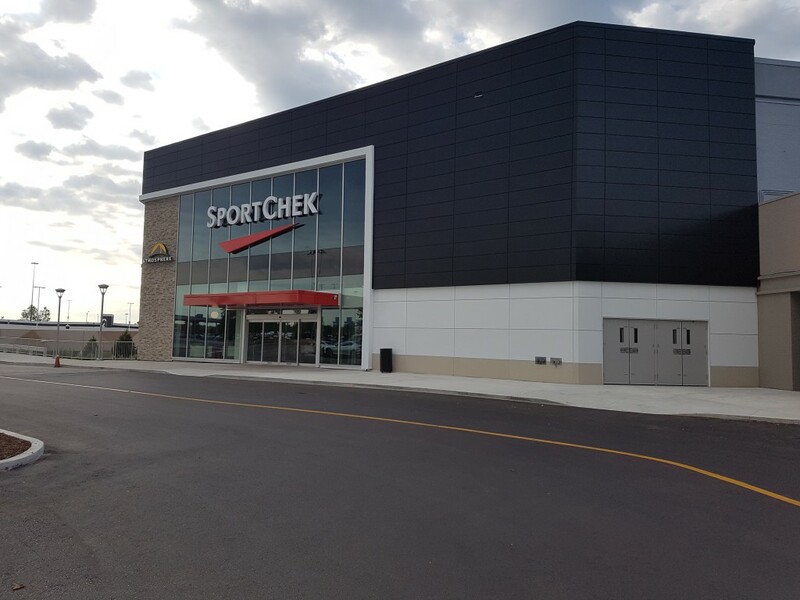 Congratulations Sport Chek on your new flagship store. I have no doubt that this store is going to be a huge success. I’ve been a fan of Real Sports since it opened. 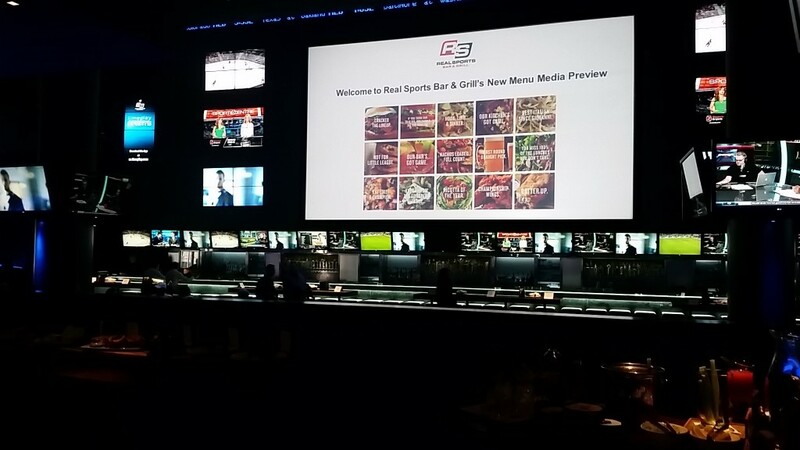 In fact many years ago I organized a small tweet up at Real Sports, to watch the final of the Australian Open. 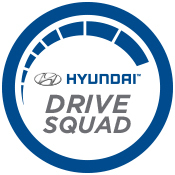 It’s a pleasure to watch the most exciting moments of a game on their 39-foot HD Big Screen and 199 HD TVs. Plus you can sip from over 50 beer selections or select from one of their 126 draughts on tap. To sum it all up – there’s 25,000 square feet of incredible atmosphere. This month, they have introduced a new menu. I found out that they developed a menu that pairs well with beer and I think this is a fabulous strategy!! Not to mention that they made the menu a bit smaller so that they can focus on quality and consistency vs. quantity! Again, a great strategy. 1. #Litterally Popcorn Chicken – Popcorn dusted fried chicken bites in a sweet, hot chili sauce. 2. 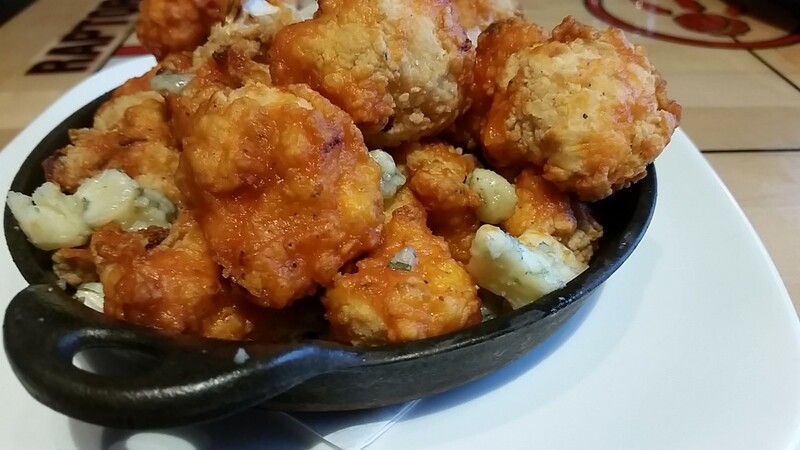 Buffalo Cauliflower – Fried Southern Style with Buffalo Sauce, Coleslaw and Blue Cheese. 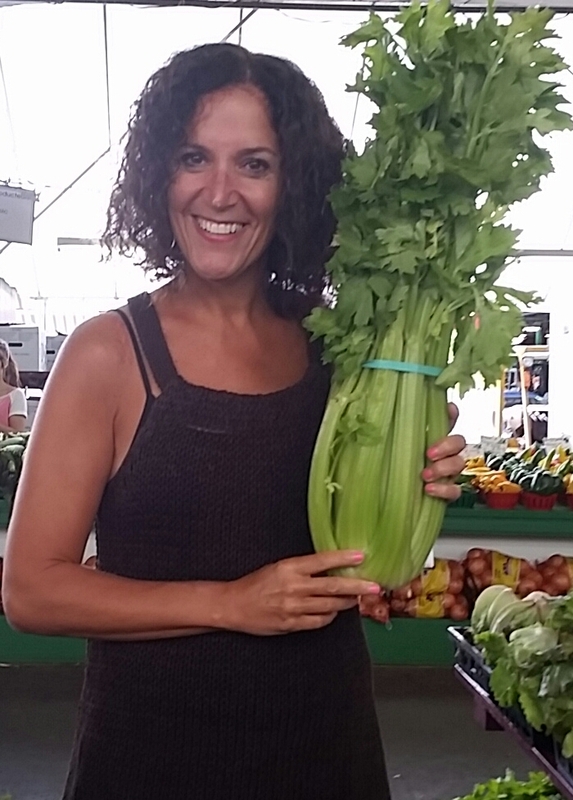 True story….a blogger sitting beside me thought this was a chicken dish. That’s how good it was. 3. 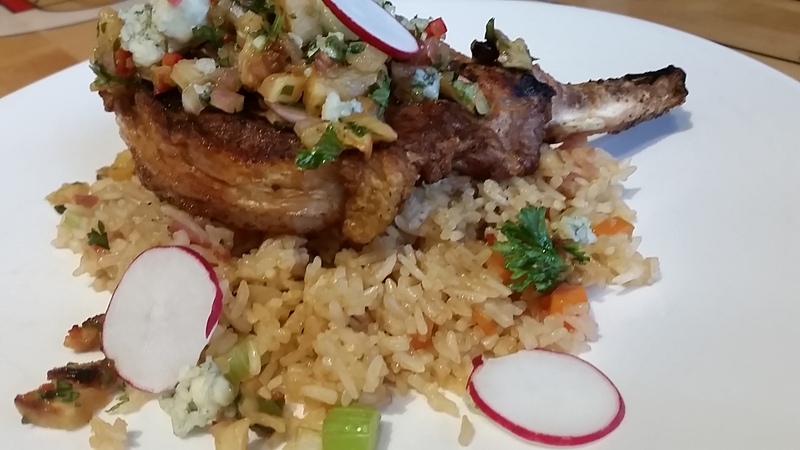 Hawaii 5-0 Pork Chop – Double cut pork chop served on bacon fried rice with pineapple blue cheese salsa. Disclosure: My meal was complimentary however all opinions are my own.